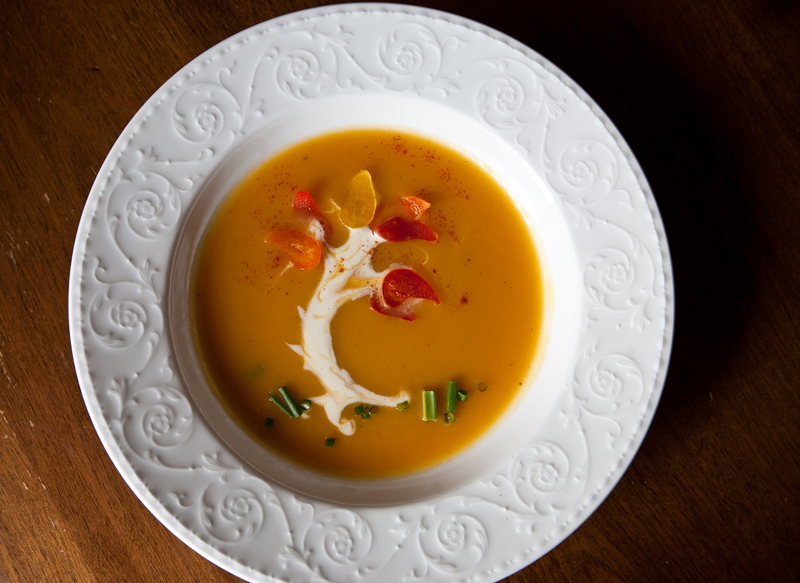 With the weather turning cold, soup is especially welcome. My son Isaiah made a delicious soup to start off our Thanksgiving feast. Today I enjoyed his leftover Pumpkin Squash Soup. 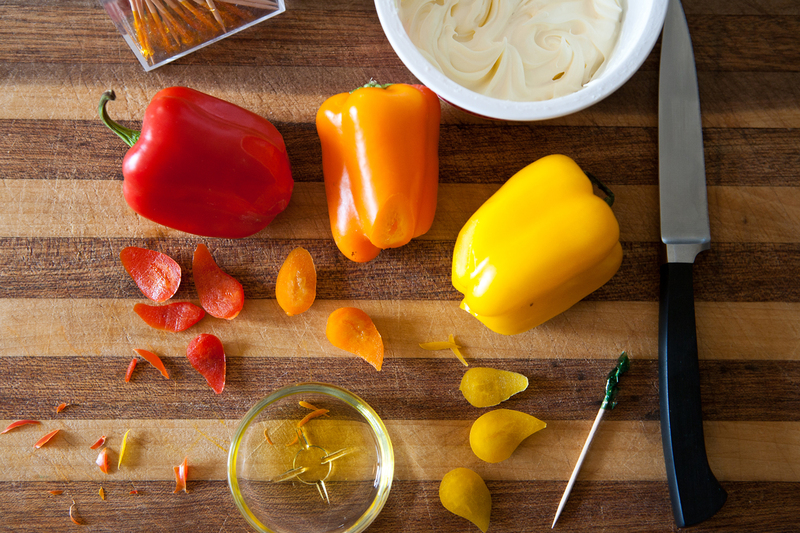 To garnish, I cut bits of mini red, yellow and orange peppers to look like leaves. To make the tree, three small scoops of Creme Fraiche were picked up with the tip of the knife and placed on the surface of the soup. Then I drew a toothpick through the cream to form the tree roots and branches. The grass is a scattering of chives. The pepper leaves didn’t float as well as I hoped but they still looked lovely lying on the soup with a dusting of paprika.